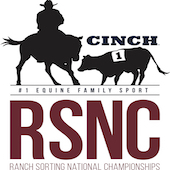 The 2018-2019 Cinch RSNC National Sort For The Saddles Points Race has begun! The 2018-2019 National Saddle Race points earning season started June 17, 2018 and ends June 8, 2019 (for all shows received with paperwork, payment, and files from the Producer.) The top 20 point earners from each state, as well as all frozen contestants, in six separate categories will enter the World Finals with 40 points to 2 points respectively. Masters division will enter with 20 points down to 1 point respectively. The 2019 Cinch RSNC World Finals has a 5 show requirement for all riders, with the exception of new members, that wish to compete for pay-backs as well as other prizes. Only the top 20 point earners from each state that have attended 5 shows are eligible for the saddle or other year-end awards. For an event to count as a qualifying show for the 2019 World Finals, contestants must enter a minimum of 5 times in each show. If a contestant’s success at a show has warranted their being bumped up to the next rating category within one month of a finals event, the contestant will be held at their lower rating for that one month time frame and moved up after the finals event has been completed. All new members who join during the 2018/19 points earning season are automatically eligible to compete regardless of the number of events they have completed at. Click on your State to view points. These accumulated points will determine the contestant’s placing in the Top 20 of each division for their state. Any division that has more than 100 teams will be double points. Any contestant can earn points in any sanctioned class in which they are eligible to ride. The Masters will be a class of its own throughout the year and those points will be kept separately. The points will be awarded throughout the year to give contestants who compete in Cinch RSNC events an advantage going to the World Finals. The top 20 contestants in each category, from each State, will enter the finals with 20 to 1 points respectively. The Top 20 from each division, in each State will be eligible for year end awards. 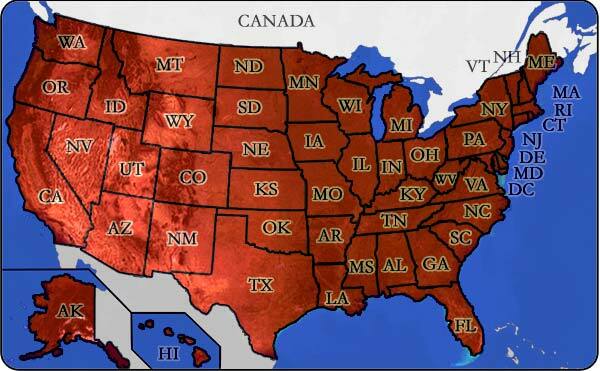 A contestant throughout the year can earn points in any State, but will represent the State in which they live. In the event that the contestant’s rating is changed, his/her points will be carried with him/her to the next division unless moving those points improves the contestants standing in the points race. In this case only the points that will put the contestant in the same standing as the division prior will be carried over. Example: A Novice has 50 points, is in Fourth place and is moved to the Amateur division. The Fourth place Amateur has 30 points. In this case the Novice being moved can only transfer 30 of his/her 50 points to the Amateur division, tying with the Fourth place Amateur. However, every contestant that graduates from Novice to Amateur or Amateur to Open is automatically qualified for the Finals with a minimum of 20 points.